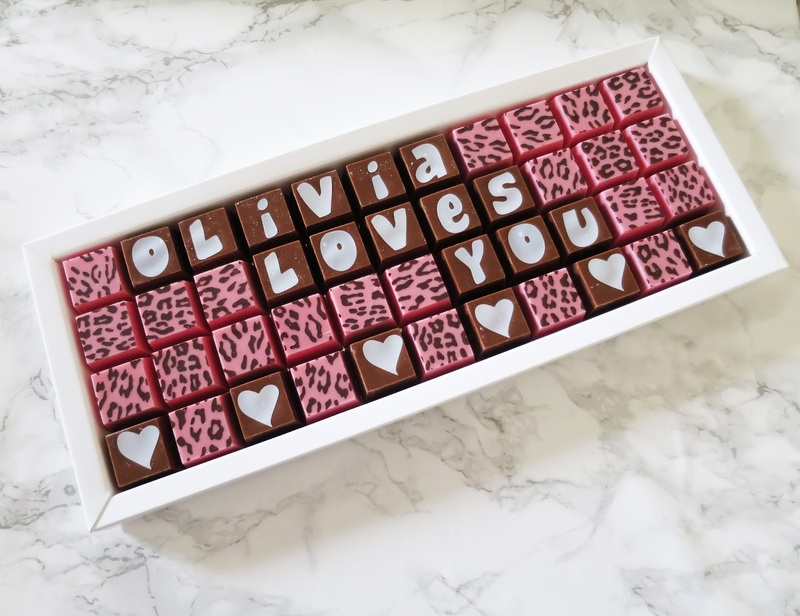 You didn't think I'd do a Valentines Day gift post without mentioning one of my favourite companies, did you? Krispy Kreme always does a seasonal range, and for Valentines Day they released these adorable heart-shaped Lady Bird and Bee ones which I do apologize got a bit mashed on the way home. 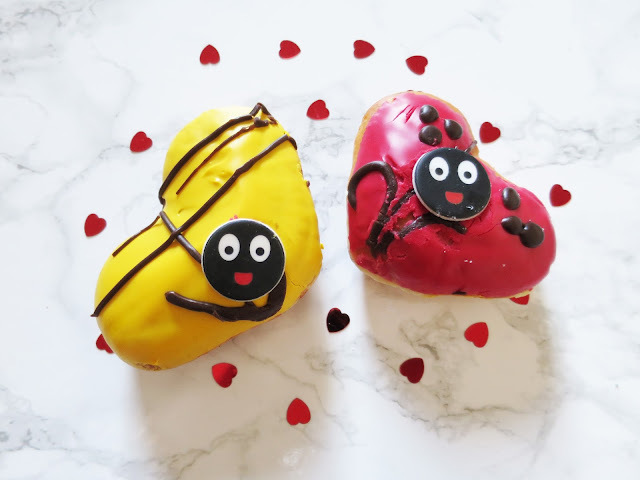 The bee doughnut is filled with chocolate and the ladybird with strawberry, and they are the perfect gift for your friends, family, other half or even to take a dozen to work and get some brownie points. 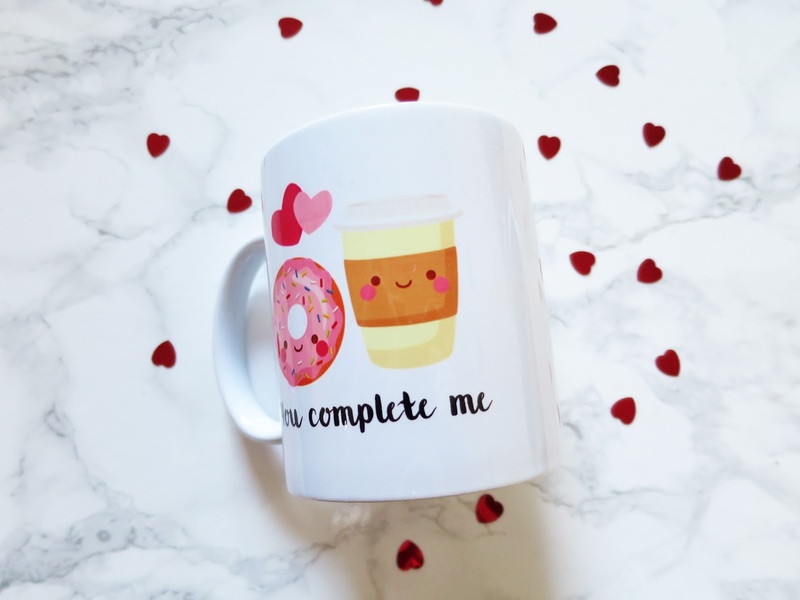 At £10.95 for an assorted dozen, you can pick yourself up some of these cuties along with some other Doughnuts or for £15.00 you can get an adorable Valentines Day box which has the cutest ring Doughnuts in too (check it out here). Another fab company found through Bouf called Tea Please and you can check them out here, who make amazing mugs of pretty much anything from the cute one pictured about to personalized ones and pretty much everything in between. The mugs cost around £9.85 but there is so much choice and you can get some of them personalized giving them that extra special love touch. Even if you don't fancy something Valentines Day related they have other gorgeous mugs for you to pick from so everyone can treat themselves to a great 'tea' mug! If you fancy treating yourself to this mug you can do find similar here.. These necklaces are the more pricey part of this gift guide but for what they are they are still totally reasonable, these two beauties came from Joshua James who are a stockist of some amazing brands and you've probably heard me mention them before in a few other posts like this one. The two necklaces in the photo are the clear crystal heart pendant and the clear crystal small heart. 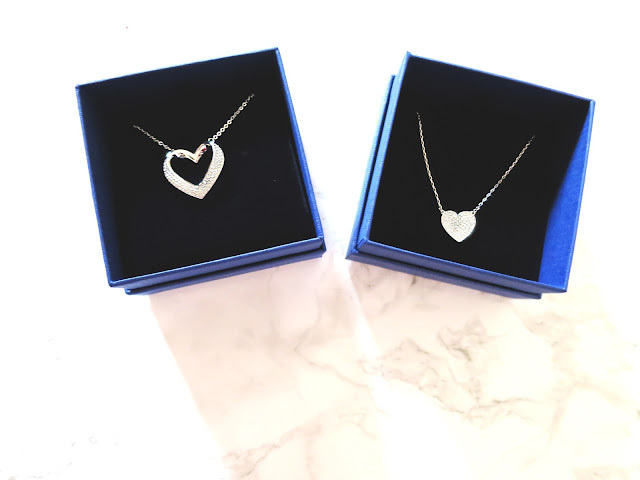 Both perfect treats for your other half for Valentines Day and both under £80 which compared to a lot of other necklaces from high end brands I'd say is a pretty good deal. If your other half is girly I'd say this one of the perfect presents for her. Just a quick tip, the pendant looks smaller in the photo than it is in real life so if you purchase this don't be surprised at how big it is. As you may notice, most Valentines Day gifts and campaigns are aimed at women and it always seems to be less of a deal for men and although I do understand why, as most don't woo over the romance element and the mush like women do it should still be a day which is celebrate by both parties meaning the men deserve a gift guide too, with the help of the lovely people at Debenhams I have put together a gift guide of easy gifts to purchase at the click of a fingers and all can be bought without leaving the house. I have decided to keep this gift guide budget friendly as I know not everybody can afford lots of money at Valentines Day as people are still getting on their feet from Christmas. Although as a side note Debenhams has some amazing fragrances and watches for men if you are looking for a more high end piece. Apologies I know not everyone loves Valentines Day but I do so I have decided to have a week of it on my blog! Something a little bit different than the normal present but all the more fun, I love the idea of giving someone an experience for a present rather than a gift they are likely to buy themselves, the idea of them getting to experience something out of the ordinary. From driving experiences, to posh meals and even indoor sky diving there is something for everyone. Debenhams offer an amazing range of books, including a huge range of cookery books, knowledge books, but mostly they offer comedy which are my favourite books to receive as presents . 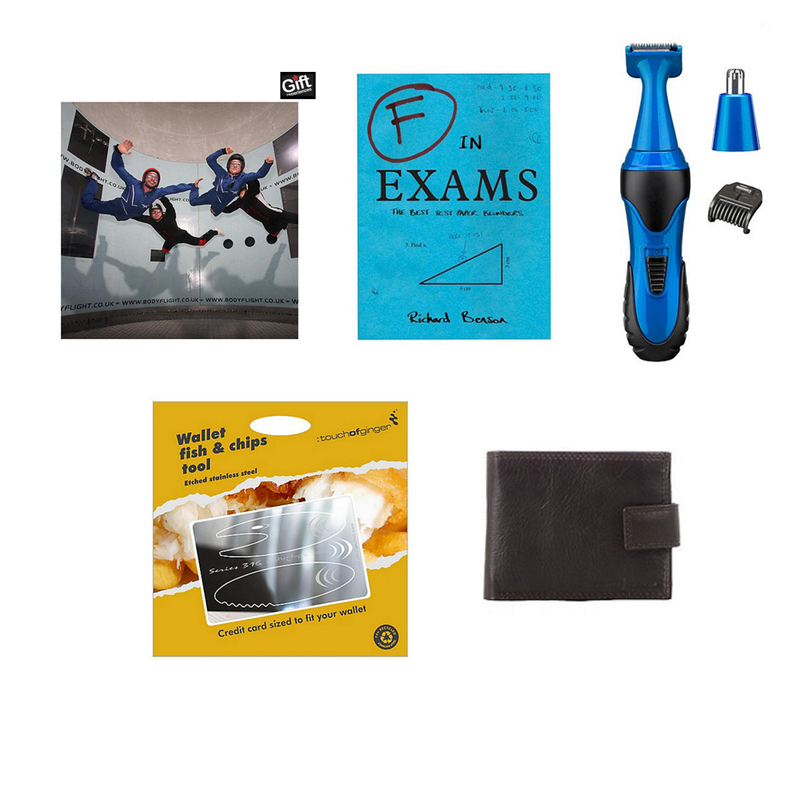 The book featured is the F in exams book which you can purchase here and it is full of laughs, perfect to bring a smile to a loved ones face. Some other titles which I have seen which would make perfect gifts are: Older, Wiser, Sexier and Laugh on the loo if they have a toilet sense of humour which I know my boyfriend does. My other half seems to think my razors are perfect for his face and tends to use them all up which is a total nightmare, so I think a beard trimmer seems in order. Not the most fun gift of all I have to admit but still a useful one and it leaves out the mush element and I am sure you're partner if they don't already have one will love this gift. This is the perfect gift for somebody who has everything and also someone who appreciates the comedy element in presents. A fish and chip tool kit which is wallet sized made me do a double take to check it was a legit thing? The good news, it totally is. I would totally buy one of these for my purse for future emergencies! One of the more boring gifts but again a totally appreciated one, if you partners are as bad as mine when it comes to buying a new wallet this is the perfect gift, mine will wait until it snaps in half before buying a new one so a treat of a new wallet seems like the perfect suggestion, obviously if your boyfriend is very into buying wallets, it may be a bit pointless. Just because you haven't gone all out mushiness on these gifts doesn't mean it's too late, don't forget to add love in the card and why not buy a HUUUGE box of chocolate to go with. It's that time again, where another Sunday Six rears it's beautiful head. 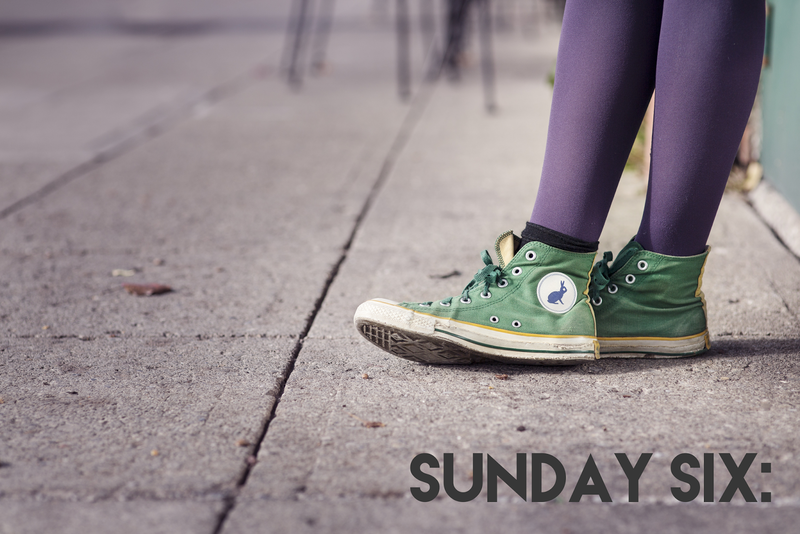 Once again sharing random facts about me that you'll probably NEVER need to know but there you go and also sharing love for six fabulous bloggers the same as every week, because who doesn't love to spread love within the blogging community and for other bloggers, because I know I do. It's been a fair while since I've taken to a Lush shop, and actually bought enough to create a haul post for you lot, I think the last time was in the summer and if you fancy checking that out you can do here. I decided as it was my birthday when I went to Lush that I would treat myself and purchase those things I've wanted to get for a while and also some new purchases from the valentines day collection. I hope you enjoy this haul and let me know if you plan on purchasing any of these goodies. 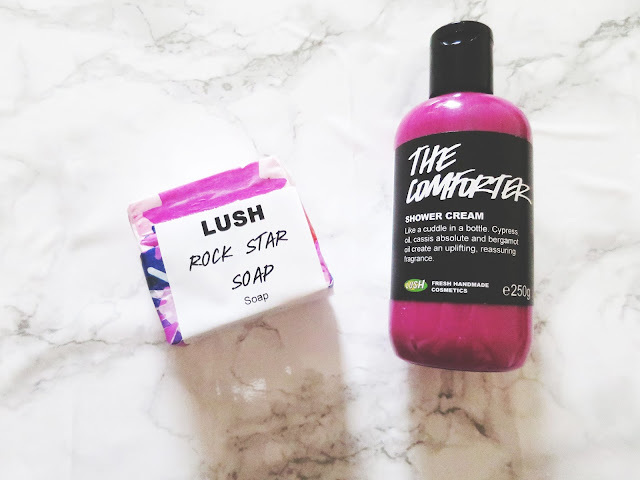 First I grabbed myself a bottle of The Comforter as I've wanted it for ages but never been able to justify £10 on shower gel, but I just went for it as it smells Lush (haha no pun intended) and also it has been raved about by every single blogger I know so I thought it must be amazing. Next I went over to the soaps and wanted to buy a huge chunk of them all, but decided to get a small (ish) block of Rockstar which is pink and smells so girly, so perfect for me. Following this I had to get myself some FUN which I have also been lusting after for SO long, but again when I didn't have money I couldn't justify spending that amount. I went for the Rainbow Fun as I couldn't decide on just one colour and they look amazing together in a packet so I was drawn in, it wasn't until the end when I got to the till that I saw the reduced Christmas Fun that I decided to treat myself to that one as well, can't go wrong for £2.50 right?! Finally I treated myself to some bath bombs and bubble bars, and I was super excited to see that the Valentines Day range was in store, yay. The bath bombs which I picked up are 'Intergalactic', The Experimenter and Lover Lamp which I have tried before except of course Lover Lamp which is new, but I couldn't resist that cuteness when I saw the little hearts on the side, I am super excited to see what it does! 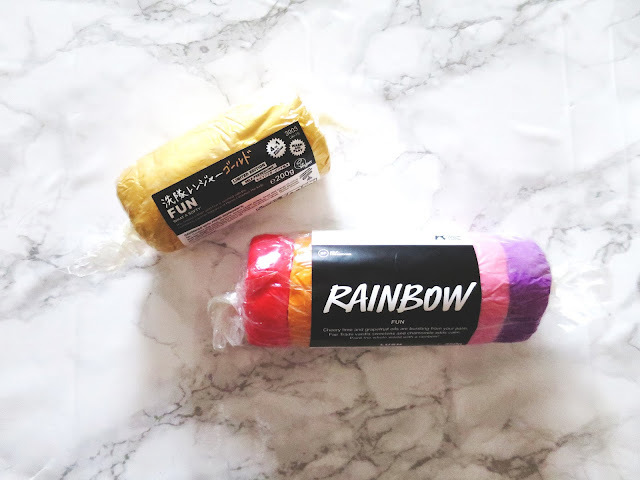 The two bubble bars which I purchased were the 'Unicorn Horn' and Creamy Candy, although they put up the price on the Unicorn Horn from previous years, it drew me in with its pretty colours and beautiful scent that I had to purchase it. I went for the Creamy Candy bubble bar as it's simple and cheap perfect for those smaller baths when you're not feeling like going all out. 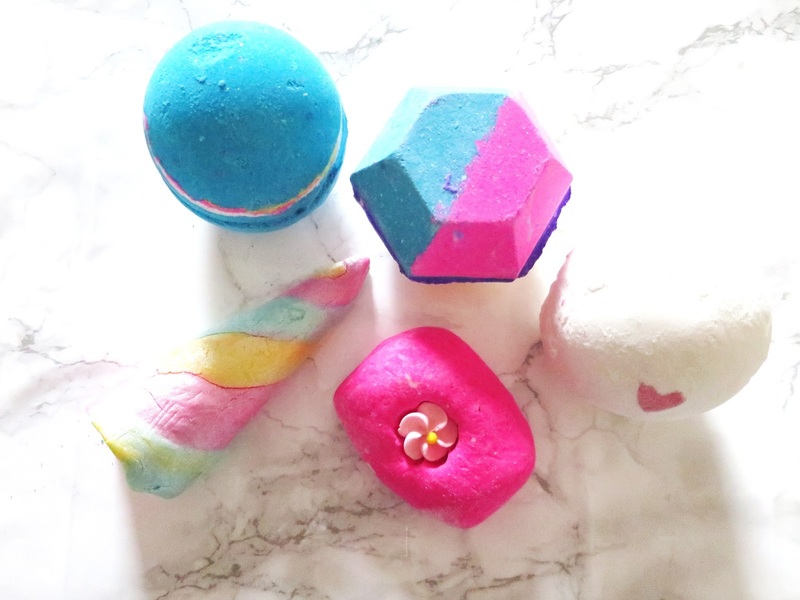 I hope you enjoyed reading what I picked up from Lush, I would love for you to leave your recommendations in the comments below so I can get them in my next haul! I have been wanting to write a post similar to this for a while but it has taken me this long to get the balls to do it, in case people think differently of me or something? But I decided it's a topic which needs to be talked about so I am going to do that myself. 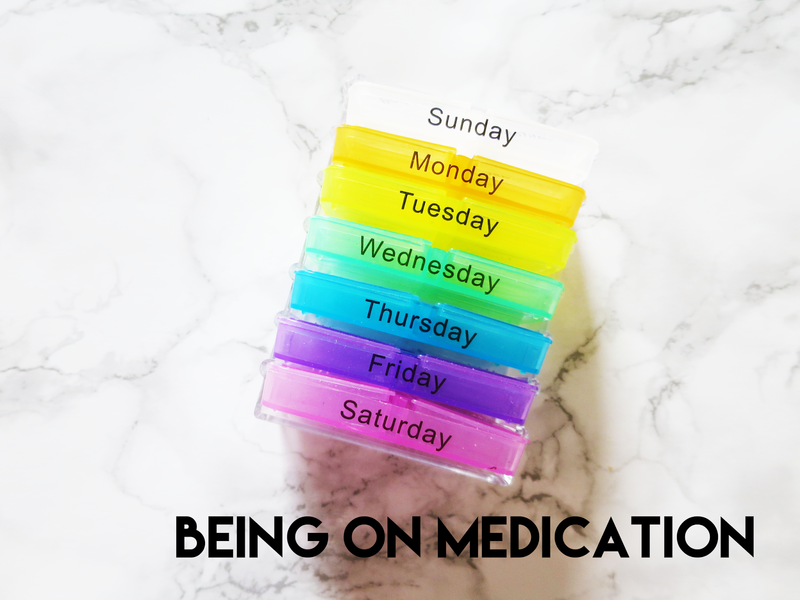 That topic is being on medication and more to the point, medication for mental illness, the post today will cover the fact that medication does NOT change who I am, and that there are so many different types of medication out there so if you haven't found one which works for you yet, there's time and lots of different types to try. So first off I wanted to started with my own personal struggles with medication, when I went back to the doctors in 2014 to get diagnosed with depression again I was put on the medication which I was previously on and I knew it didn't work for me but I was too scared to say anything but they did put me on the highest dosage after a while so I assumed this would change things, it didn't. After 4 months I finally came clean to my boyfriend and told him that it wasn't working for me and he said he had thought as much as I didn't seem improved in my mood at all. So I went back again and they put me on a different medication, building up the dosage and I was on this for 8 months and I got on with it really well or so I thought, mentally it did help but I didn't release it was damaging my eye sight, I'd get crazy migraines everyday and could barely see at points so after assuming it was my glasses I went back to the opticians who told me it was the medication and I needed to come off it ASAP so that's what I did, this was only before Christmas so I did spend a lot of time over Christmas on a downer coming off the medication. I was given medication which I feel isn't right for me again by a doctor who isn't my usual one and he seemed very short tempered so I just left it and started this medication. I am currently getting in a better place mentally and hopefully won't need medication forever but I want people to know that using medication to help with your moods or anxiety is never a bad thing. 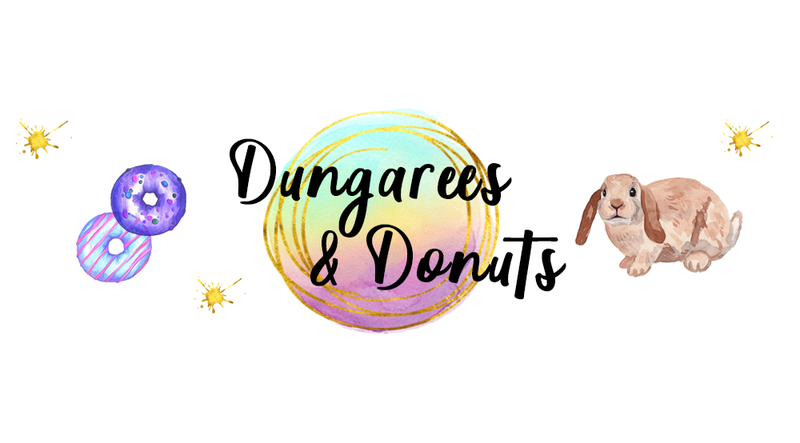 I am currently seeking more professional advice for my latest digonsis with mental health which I hope I am able to talk about on the blog at some point in the future, maybe not this month or even in a few months but I am hoping I can. Accepting help and talking medication isn't a bad thing and can honestly change your life and help you get yourself together in ways which you wouldn't be able to without. Also accepting the help of the medication doesn't mean you will forever be on these medications, one day you can possibly come off of them and be able to cope with them. This was another very personal post from me, but I did it with good reason in the hope that I am able to help others with their struggles. I've been wanting to do this post for ages and just haven't gotten around to it, but it's finally here. 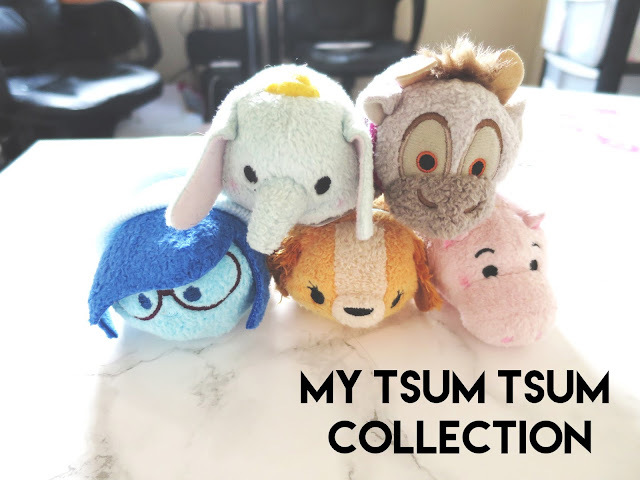 My Tsum Tsum collection, for those of you who don't know what Tsum Tsum are they are cute plushies created by Disney of their characters and have been super popular. The reason for the name is it comes from a Japanese word which makes to stack which is basically what you are supposed to do with Tsum Tsum. Although I have a small collection at the moment I have had to put it on hold during holiday season as I needed the money for other things but now I am back and ready to build my stack. 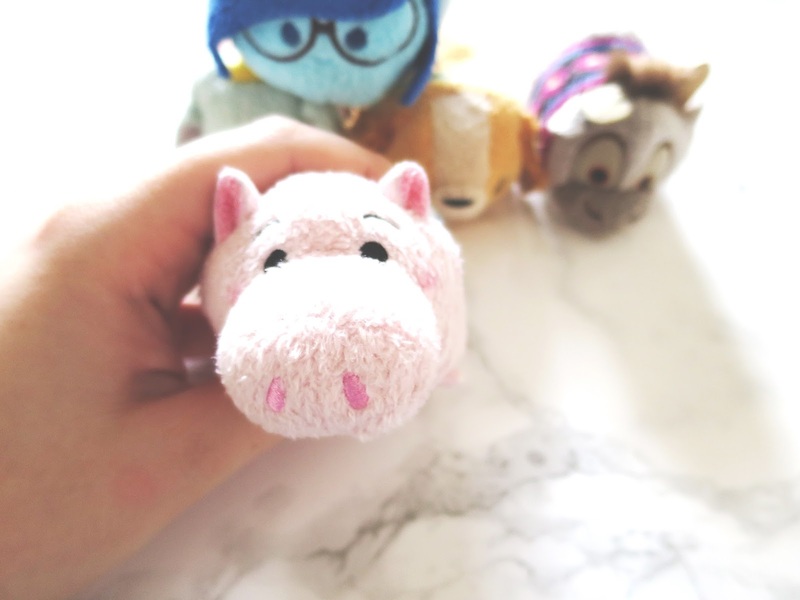 I totally forgot I had a Tsum Tsum of Marie from the Aristocats and therefore isn't photographed but she does exist somewhere in my room, sorry Marie! 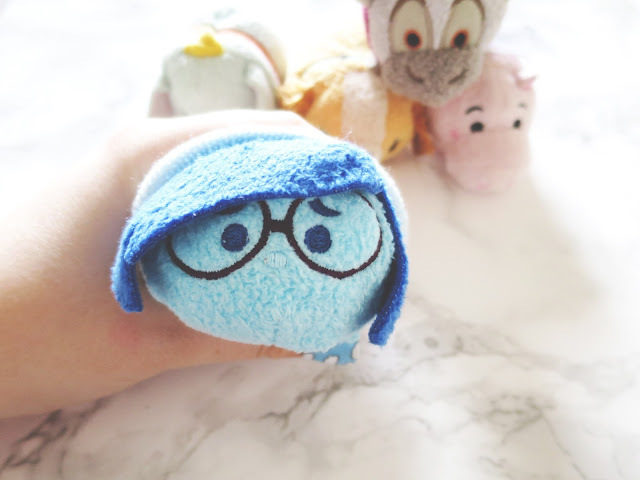 So the newest Tsum Tsum to my collection is Sadness, which Luke put in my stocking for me. He says I am like sadness which is kinda cute as sadness just needs love, I love Sadness she is also one of my favourite Disney characters and one of the ones I have connected to the most during a film so happy days, I love the Tsum Tsum version of her as it looks like the real thing and makes me smile when I see her. I want to collect all of the Inside Out characters as they're SO adorable. 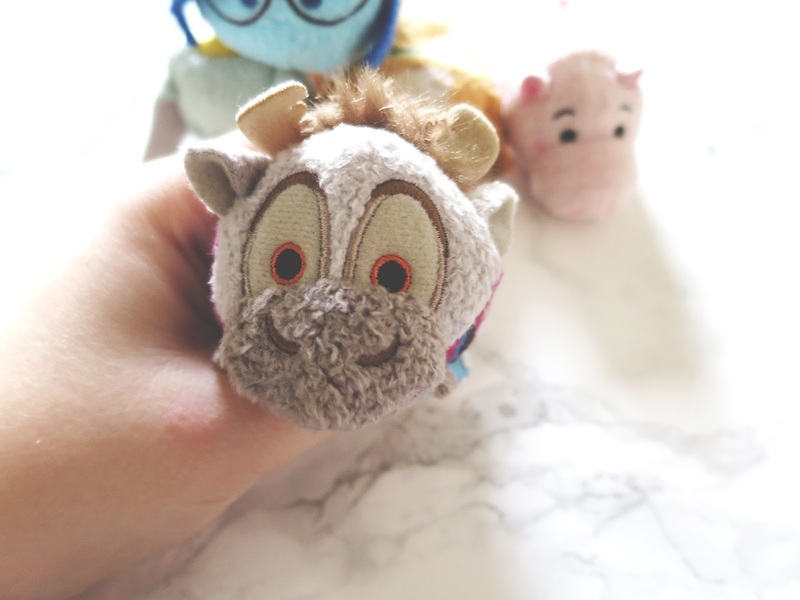 Honestly the cutest Tsum Tsum ever is Sven, he melts my heart with his adorable eyes and his fluffy hair, aw! Although I am not the biggest fan of Frozen I knew I had to have him as part of my collection. I probably won't get any of the other Frozen Tsum Tsums but I am glad I purchased Sven! GUESS WHO IT IS! It's Hamm, another cutie that Luke surprised with me a while back. Toy Story is one of my favourite films of all time and Hamm is one of my favourite characters along with Jessie and Rex so I have a few Tsum Tsums left to get from the Toy Story collection but they are going to be next on my list as they are awesome! 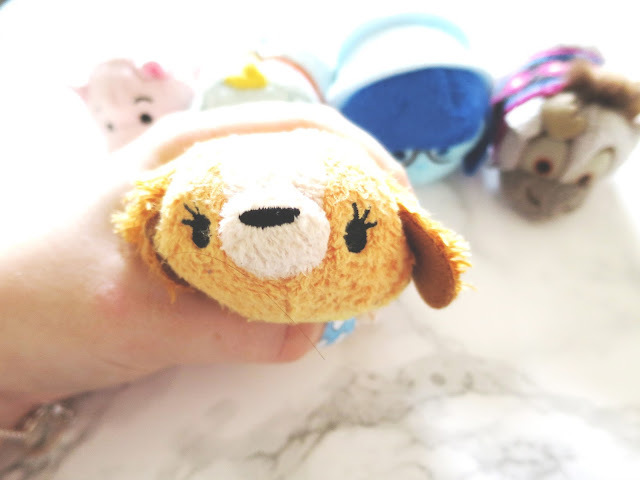 It's Lady from Lady in the Tramp and I love this film and always have done, and along with Marie Lady is the first Tsum Tsum I bought for my collection because she is sooo cute and also was one of the first ones I saw around. I have a lot of love for Lady as she's ADORABLE and everytime I see her it makes me want to re watch the film. 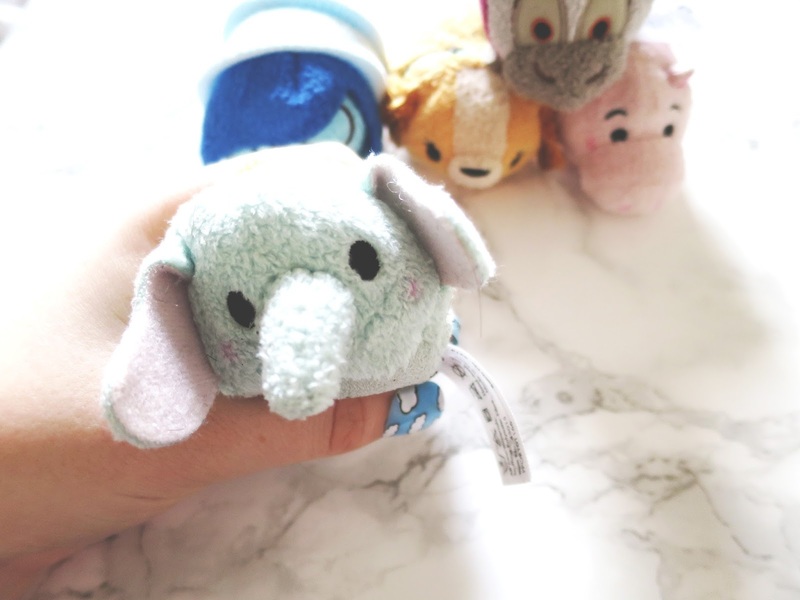 My final Tsum Tsum in the collection currently is Dumbo, and how sweet is he? To be honest he doesn't look the most like dumbo but that trunk and cute eyes drew me in. Like the rest I love Dumbo the film and also have plenty of other merchandise of Dumbo including the GIANT version of him which is on my bed which was one of my favourite Christmas presents and he's soooo warm! So there is my collection, I know next on my list to collection is Bambi, Baymax and Jessie as well as plenty more, so I hope to do an updated collection in the next few moths. I hope you enjoyed learning a little bit more about Disney loving collection! If there is one thing I've noticed in more recent years is the amount of people who get work done on their teeth, whether it be braces, whitening treatments or even getting replacement teeth. Which got me thinking as to why it is that more and more people are getting work done on their mouth, with a bit of research online I got some answers for this. The first thing I noticed in a lot of the answers is people saying the fact that their smile is often the first thing that is noticed, and if you have a great smile people are likely to remember that. With dental treatments easy as ever to get more and more people are aiming for the perfect smile, I am lucky because when I was 14 I had braces which totally transformed my smile (read more about my story here), which I have to admit leaves me often smiling for the sake of it and it's been a long time since I had them off. When you're an adult you don't have the option to get free braces so you have to pay for them yourself, but the perks of this can include having clear braces. 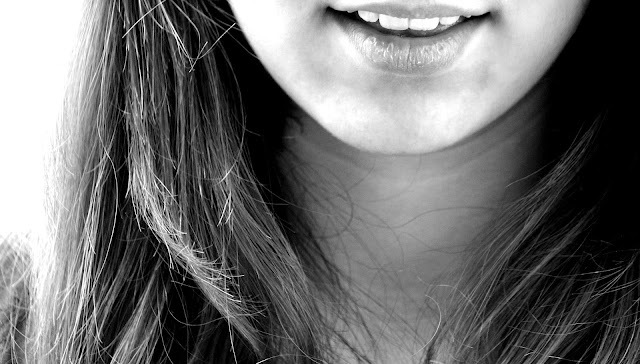 The Centre For Advanced Dentistry Yorkshire not only offer braces but a large amount of whitening treatments as well as other ways to fix your smile and the reason so many dentists are opening up lately is they are high in demand. Yorkshire Dentistry also state: "A simple smile allows you to do many things; if you don’t smile you cannot laugh, sing, speak publicly, or even get married." As I know not everyone can afford to go to a dentist for treatments, although those of you who can, it's SO worth it. I am going to share some tips for getting whiter teeth at home and hopefully this improves your confidence and gives you the urge to smile! Use Baking Soda with toothpaste, you can buy toothpastes which are made up of baking soda or you can create your own mixture to use at home, the baking soda helps to remove the plaque allowing teeth to appear visibly more white. Purchase a whitening kit, there are so many on the market and many within budget. It depends on what you are looking for and the starting point of your teeth to how white they will become with these treatments but they will still work to some extent regardless. Apple Cider Rinse- although I've never personally tried this one I saw it recommended on the internet, apparently rising your mouth with apple cider on a nightly basis can help improve the whiteness of your teeth although it doesn't give you as great results as other things it can still do amazing things.